In this blog series we are talking about, yes you guessed it… LiDAR. It’s one of the principle remote sensing technologies that we use at NM Group so its worthy of some explanation. In this four-part series I will be covering the basics of what it is, common uses of the data and some of the different methods used to acquire the data. For the last blog in the series I explore UAV based LiDAR surveys. So what actually is LiDAR data? First let’s deal with the jargon, it’s an acronym that stands for Light Detection and Ranging. It is a remote sensing method, that uses laser pulses to scan the surface of the ground and other objects to obtain very accurate survey measurements. When a laser pulse encounters a surface it reflects back and a measurement is taken in 3D. Hundreds of thousands of pulses are emitted from a LiDAR sensor, forming a very dense collection of measured points – more commonly known as a ‘point cloud’. What is a UAV LiDAR survey? An unmanned aerial vehicle (UAV), also known as a drone, is an aircraft without a human pilot aboard. The flight of UAV’s may operate under remote control by a human operator, or fully autonomously by on-board computers. LiDAR systems are now lightweight enough that they can used on unmanned platforms. Additionally, image technology and other sensors can be used with drones providing the ability to collect data with a mix of sensors. Density of data – flying slowly or hovering means the UAV borne LiDAR systems can get dense data sets. UAV systems will also typically fly lower to the area of interest than manned aircraft. UAV LiDAR surveys work well for smaller projects where the costs can be prohibitive to get a manned system airborne. This includes individual facilities, towers, substations – essentially small Areas of Interest. 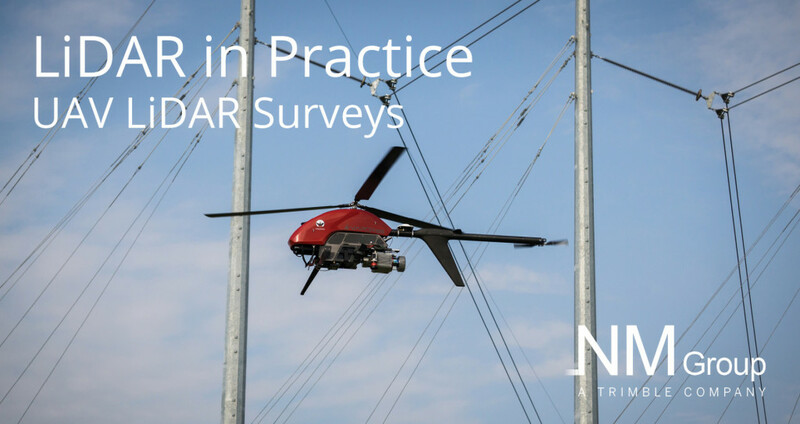 The variety of survey and inspection work achievable with drones is impressive and includes LiDAR based engineering models of infrastructure, infrared assessments for hot spots, close up visual inspections to name a few. The biggest constraint is the restrictions on visual line of sight and aircraft endurance. In our experience this makes drone LiDAR project only suitable for small sections of line or facilities. For larger or network wide projects it is necessary to use a manned alternative.